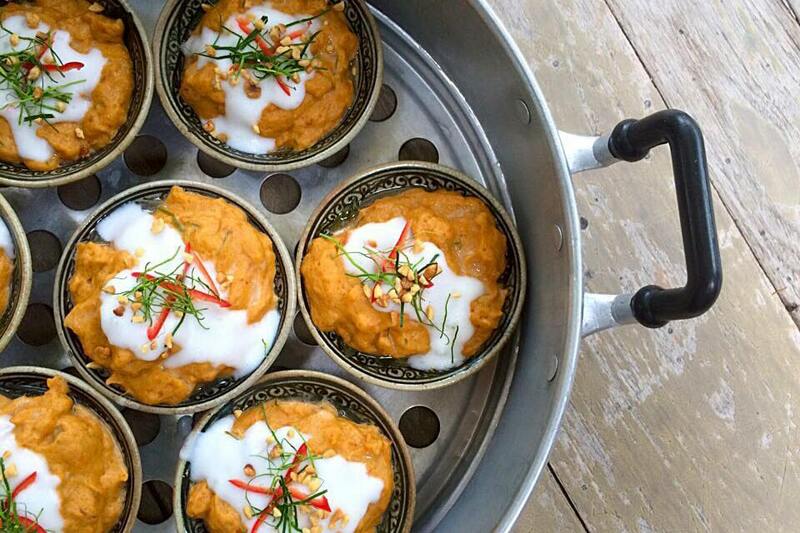 ﻿ Baipai Thai Cooking School, Best Thai Cooking Class in Bangkok, Thailand. A real hands-on experience...you’ll be amazed. Established in April 2002, and accredited by the Ministry of Education of Thailand. Baipai is an ideal home-style learning environment unlike other cooking schools and those of the hotels and restaurants in Thailand. Baipai opens to interested residences, expatriates and foreign visitors with the use of English language as a medium of teaching for non-native Thai speakers. 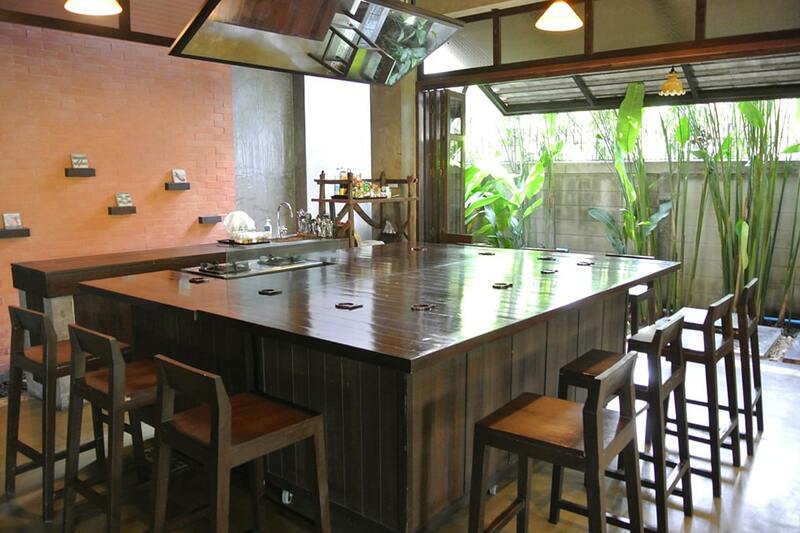 Baipai Thai Cooking School located away from the crowded streets, in Bangkok residential area. 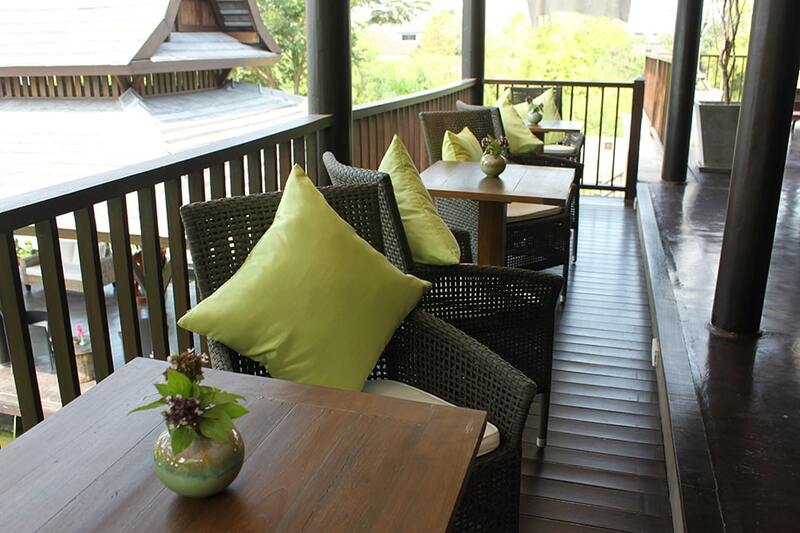 An opened-air Thai Style charming two storey house with wooden décor and locally styled furnishings in tranquil surroundings, cozy and relaxing atmosphere with the local life goes by outside. Completely hands-on. While the technical content is purposefully presented, the whole process is meant to be entertaining and a word “fun“ for participants. You learn by preparing food handed-on with our experienced teacher guides and emphasis on the art of fine Thai cooking in a relaxed social environment. Including each student will have his/her own cooking station, specifically equipped and designed to enhance your cooking experience. Whether Thai food is your favorite one, or cooking is your hobby, or may be just curiosity. There is no better way to learn Thai cooking than once you are in Thailand and taking a Thai cooking course, taught by qualified Thai professional. 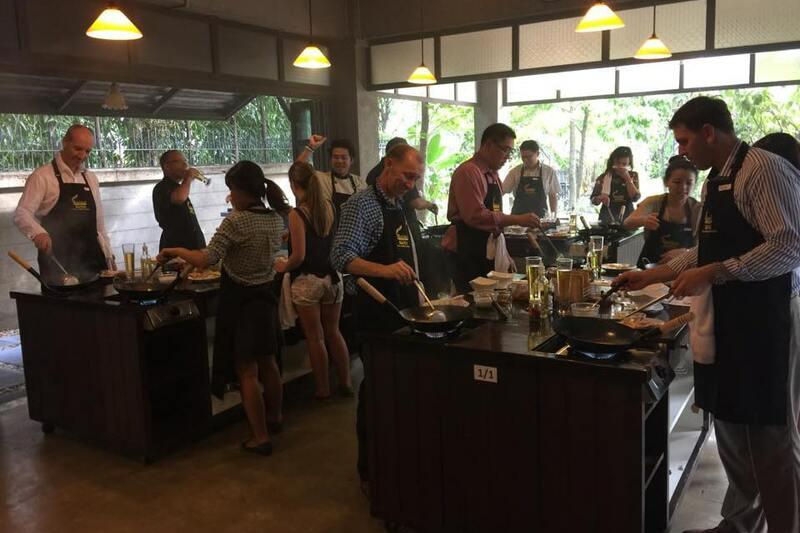 The Cooking Course at Baipai Thai Cooking School is an ideal home-style learning environment that is different from most of the hotels and restaurants in Thailand. Come and join us to make your next vacation a culinary adventure and learn essential skills and techniques you can use everyday! We promise to serve you our best! Just 30 minutes from Downtown Bangkok, BaiPai Thai Cooking School is about 15 minutes from JJ Weekend Market. However,what makes Baipai Thai Cooking School distinguished from the othersis that we provide transportation to hotels & other tourist residence in centre bangkok area no extra charge from the fees. The Fees are reasonable and affordable. The rate included tax, a recipe booklet, and all use of ingredients for the class. Complimentary shuttle service is subject to the route and availability. Team Activities Baipai also offers experiential program or workshop for organization who seeking for an activity during or after their conference/seminar in Bangkok to motivate team spirit, skills, and characteristics, etc. For further information and price, please contact the school directly. Private class A private cooking class is for the person who have preference or interested to setup a special event or party. You are able to selected Thai dishes menu which you are interested in. Please feel free to send us your inquiry. Cooking class Completely hands-on. While the technical content is purposefully presented, the whole process is meant to be entertaining and a word “fun“ for participants. You learn by preparing food handed-on with our experienced teacher guides and emphasis on the art of fine Thai cooking in a relaxed social environment. Join our mailing list and be the first to know about upcoming events and special offers.